Dr. David Frawley (Pandit Vamadeva Shastri) is a recipient of the prestigious Padma Bhushan award, the third highest civilian award granted by the government of India, “for distinguished service of a higher order to the nation,” honoring his work and writings as a Vedic teacher, which he received in March 2015. He has a rare D. Litt. (Doctor of Letters), the highest educational title possible in the field of Yoga and Vedic sciences, from SVYASA (Swami Vivekananda Yoga Anusandhana Samsthana), the only deemed Yoga university recognized by the Government of India. He has a second D. LITT. from Ram Manohar Lohia Avadh University in Faizabad, Uttar Pradesh that was given to him by the governor of Uttar Pradesh. He has a special National Eminence Award from the South Indian Education Society (SIES), affiliated with the Kanchi Shankaracharya Math, which has only been given to about fifty educators over the last forty years. In addition he writes regularly for various publications and the social media on educational issues in India and the importance of Vedic knowledge for the entire world, which has given him a vast and diverse readership and following. Over the years he has been one of the main pioneers in introducing Ayurvedic medicine to the western world, as well as Jyotisha (Vedic astrology), the deeper aspects of Yoga and Vedanta, and the interpretation of the Vedas. Vamadeva second from left in official group picture for higher Padma Awards, including Prime Minister Narendra Modi, President Pranab Mukherjee, Vice-President Hamad Anasari, and Home Minister of India, Rajnath Singh in the center. Awards for Bharat Ratna, Padma Vibhushan and Padma Bhushan. Ceremony at Rashtrapati Bhavan on March 30, 2015. Vamadeva sees his role as a “Vedic educator” helping to revive Vedic knowledge in an interdisciplinary approach for the planetary age. He regards himself as a translator to help empower people to use Vedic systems to enhance their lives and aid in their greater Self-realization.He has worked in several different healing and scholarly fields, with some degree of specialization over certain periods of time. Yet he has endeavored to approach each with a degree of specificity, providing both the background philosophy and practical teachings. Phillip Goldberg in his popular book American Veda (page 223) recognizes Vamadeva (Dr. David Frawley) as one of the main “acharya”s of Vedanta-Yoga in the West today, as well as noting his influence in India as a Vedacharya. Note various comments about his work below. “Your books open the heart instead of keep up do-nots. Your magnum opus on the Rigveda sheds entirely new light on the earliest period of Indian and Indo-European history. The Padma Bhushan award is a long-awaited recognition of your creative insights into the Sanskrit centuries and contemporary practices. Ever more strength to your pen so that the seeds of great tomorrows are born. Padma Bhushan is India’s Thank You, as you carry Eternity into the Present. With renewed congratulations to you, the Yogeshvara. Vamadeva received a Pandit award as part of a special Brahmacharya Vishvanathji yearly award in Mumbai in 1994. His role as a pandit and Vedic teacher (Vedacharya) has been honored by many groups in India, where he has frequently lectured and taught. These include Swaminarayan (BAPS), Arsha Vidya Gurukulam (Swami Dayananda), and the Chinmaya Mission (Swami Mitrananda). Such a traditional title as a Pandit and Vedacharya implies having written and taught on the four Vedas and Upanishads, which Vamadeva has done in his many Vedic books that include many original translations from the Sanskrit, particularly from the most ancient Rigveda itself, over the last thirty five years. He follows a broader Raja Yoga tradition that includes the Vedic sciences. Dr. Frawley’s work in India was honored in the book The Mind of the Guru, Conversations with Spiritual Masters (Viking, India, 2003) by Rajiv Mehrotra of the Dalai Lama Foundation, Delhi, India, which featured twenty modern teachers, mainly from India, with a foreword by the Dalai Lama. 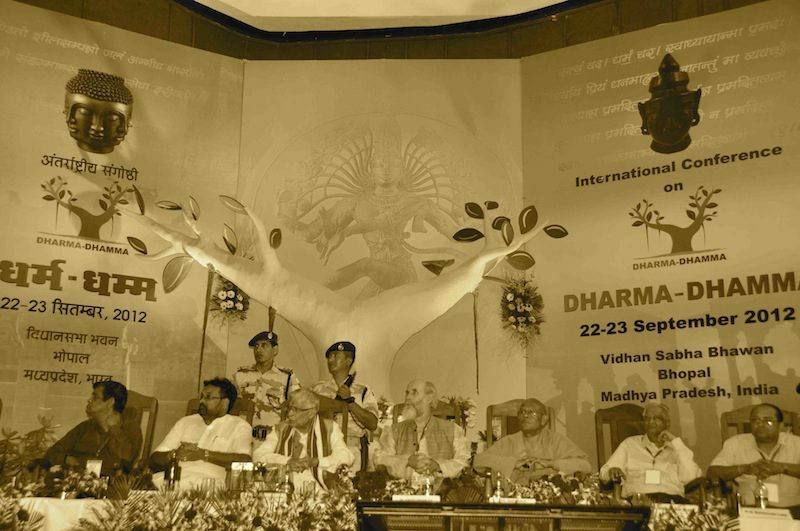 In India in 2012, Vamadeva was made one of the patrons of the Dharma-Dhamma conference hosted by the government of Madhya Pradesh for the starting of a new Sanchi University of Buddhist and Indic Studies at Sanchi/Bhopal. He has been asked to be a visiting professor to Sanchi university for its department of Vedic studies. He continues to be one of the guiding lights for the university and its various international programs. Vamadeva is a senior teacher of “traditional Ayurveda,” the older Vedic or Vaidya approach which incorporates Yoga, Vedic astrology, and Vedanta into its teachings. He is working to revive traditional Ayurveda both in the contexts of modern Ayurveda in India and popular Ayurveda in the western world. He is more than an ordinary Ayurvedic doctor or practitioner but a “master educator in the field of Ayurveda and Vedic studies.” Vamadeva has helped start a number of Ayurvedic schools and organizations, and his innovative teachings on Ayurveda have been used extensively by Ayurvedic groups throughout the world, including Ayurvedic schools in India. He is recognized as one of the most important Ayurvedic teachers and acharyas today. 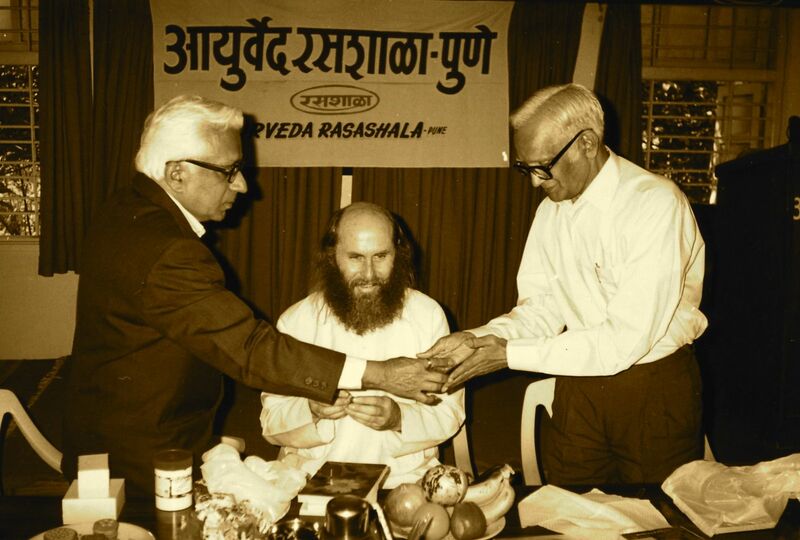 Vamadeva’s main teacher of Ayurveda was Dr. B. L. Vashta of Bombay and Pune (1919-1997), note photo left with Vashta on the right and P.H. Kulkarni on the left. For ten years he remained under the guidance of Dr. Vashta, visiting him regularly in India and studying with him on various subjects of Ayurveda and Vedic studies. 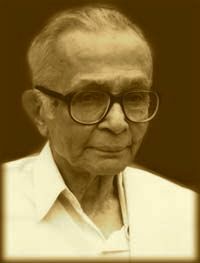 Dr. Vashta, a graduate of one of the first Ayurveda programs in India in 1941, wrote many books on Ayurveda and helped formulate Ayurvedic products for Ayurvedic companies. Vashta was also a leading journalist in the state of Maharashtra and became an important guide for Vamadeva. Vashta taught him the value of traditional Ayurveda. In America, Vamadeva has worked with Dr. Vasant Lad, noted Ayurvedic teacher and author. Vamadeva taught with Dr. Lad at the Ayurvedic Institute in 1983-1986 and remained on the visiting faculty. Along with Dr. Lad, he wrote the Yoga of Herbs (1986), which was probably the first book published integrating western herbs into Ayurveda. Lad remains an important influence on Vamadeva’s work. They share a similar orientation to Ayurveda and the Vedic sciences. Ranade, 2001), and Ayurveda and Marma Therapy (with Ranade and Lele, 2003). Vamadeva’s Soma in Yoga and Ayurveda (2012) is his longest and most detailed book on Ayurveda in recent years, and opens up a wide field of new applications, as well as deeper Yoga practices, including new secrets of Ayurvedic herbs. His book the Art and Science of Vedic Counseling (with Kshirsagar 2016) shares an integral view of Vedic knowledge synthesizing Yoga, Vedanta, Ayurveda and Vedic astrology with the background Vedic Knowledge. Vamadeva works with Deepak Chopra and has been a faculty member of the Chopra Wellness Center in San Diego since its inception over twenty years ago. 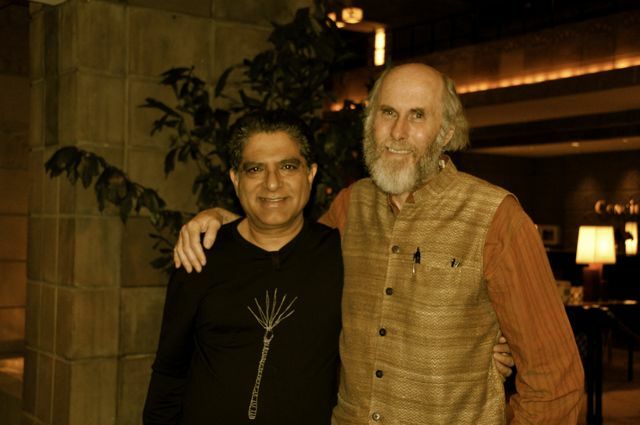 Note picture of Vamadeva and Deepak Chopra to the left. He has helped with the Center’s Ayurvedic and mantra-meditation programs over the years. Vamadeva is now one of the main master educators and advisors for the Chopra Center, helping with advanced training and course development, particularly for the Primordial Sound Mantra meditation program, which he and Shambhavi are the main master instructors for, and have guided the on-line edition. Vamadeva has been closely associated with the California College of Ayurveda (CCA), founded by his former student Marc Halpern, with whom he helped establish the school twenty years ago. Vamadeva has been a teacher for the Kripalu school of Yoga and Ayurveda, since its beginning. He is one of the four members of the advisory board for the National Ayurvedic Medical Association (NAMA), as well an advisor the Ayurvedic Practitioner’s Association of North America (AAPNA), and the California Association of Ayurvedic Medicine (CAAM). His work aims at improving the range of Ayurvedic education. He received a lifetime achievement award from the National Ayurvedic Medical Association in Nov. 2002. Vamadeva’s Ayurvedic teachings are represented by a number of associated groups throughout the world, who use it as part of their own trainings. Aldo Lubrano has developed a Spanish version of his teachings, used as part of classroom training in Mexico as well as distance learning throughout the Spanish speaking world.. The Vedic Center, Ruegen, Germany (Maxim and Sergej Kuschpel) has developed German and Russian course versions, which are now developing classroom instruction as well. His work in Brazil is represented by Dr. Jose Rugue and his Sudha Dharma Mandala, who offers extensive training in Yoga and Ayurveda, including classroom and clinical instruction. 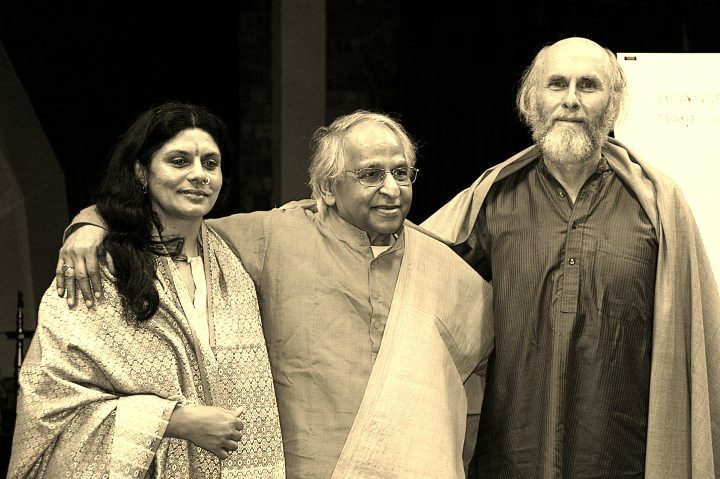 His work was previously represented in Europe by the European Institute of Vedic Studies under Atreya Smith. Vamadeva has worked with herbal medicine in several traditions, going back many years to a study of western herbalism. He has a good knowledge of local herbs throughout the western United States. He has studied Chinese herbal medicine, including in China (1987), and taught herbal medicine at the International Institute of Chinese Medicine from 1984-1990. Vamadeva has encouraged a dialogue between Chinese medicine, Ayurveda, and Tibetan medicine, which contains aspects of both systems. Vamadeva was a board member of the American Herbalist Guild (AHG) in 1993-1994, the largest herbalist association in the United States. He continues to research the herbal aspect of healing, and has studied the herbs and plants of India in detail, particularly in the Himalayas. He brings an herbal perspective into his work, including aromatherapy, encouraging herbs as the medicine of nature. He has specialized in Ayurvedic rejuvenative herbs for body and mind. Vamadeva’s teachings are rooted in Vedic mantras going back to the Rigveda. He is regarded as a master teacher of the Vedic mantras, their deities and their applications and can share the ancient Vedic Raja Yoga and its deeper sadhanas. Vamadeva began his study of the Vedas in 1971 through the works of Sri Aurobindo and started to study the Sanskrit language. In 1979, M.P. Pandit of the Sri Aurobindo Ashram gave his support to his work and personally was responsible for publishing dozens of Vamadeva’s Vedic articles and translations in various Sri Aurobindo publications in India, which occurred regularly from 1980-1984 in World Union, the Advent and Sri Aurobindo’s Action. Pandit first awakened Vamadeva to his “Vedic mission” and encouraged him up to his passing in 1994. Pandit helped publish Vamadeva’s first book in India, the Creative Vision of the Early Upanishads (1982) and serialized material from two of his other books, Self-realization and the Supermind in the Rig Veda (1979), and the Heart of the Yajur Veda (1982). Vamadeva’s Vedic studies have included the early Upanishads, the Rig Veda, Yajur Veda, and Atharva Veda, and several Brahmanas and Aranyakas, which he has gone over in the original Sanskrit. Vamadeva has made special studies of the Rig Vedic mantras. Vamadeva has followed a spiritual interpretation of Vedic texts, reflecting the work of Sri Aurobindo and Ganapati Muni, showing the yogic meaning of the Vedic mantras, which has remained the inspiration for all that he has attempted.In 1986, he brought out a volume of his translations from the Rig Veda in India under the title, Hymns from the Golden Age (Motilal Banarsidass, 1986). A revised version of the book came out in the USA and later again in India under the title Wisdomof the Ancient Seers: Selected Mantras from the Rig Veda (1993). His most important work in the Vedic field is his Vedic Yoga: The Path of the Rishi (2014), which has a foreword and special chapter by Swami Veda Bharati. Vamadeva has been a devotee of Ramana Maharshi, the great sage of South India, since 1970. He is exceptional in that he carries on the work of Ganapati Muni, one of Maharshi’s chief disciples, whose teachings he received through K. Natesan of the Ramanashram in 1991. Vamadeva was in regular contact with Natesan up to his passing in 2009 at the age of 96, photo below. Natesan carried both the legacy of Ramana Maharshi and Kavyakantha Ganapati Muni, a great modern Sanskrit writer and a great Raja Yogi as well. Ganapati Muni’s work that Vamadeva has taken up includes both the Vedas and Tantra, as well as Ayurveda and Jyotish, including their mantric and meditational disciplines through Raja Yoga. Natesan has brought out the Muni’s Sanskrit work in eleven volumes. Vamadeva continues to study and translate the Muni’s great stotras and sutras and add the Muni’s insights into his writings. His study of Vedantic meditation methods, particularly the practice of Self-inquiry as taught by Ramana Maharshi, is the subject of his book, Vedantic Meditation: Lighting the Flame of Awareness (2000).Vamadeva’s study of Ganapati Muni’s work was the basis of his book Tantric Yoga and the Wisdom Goddesses (1994), which relates to the deeper aspects of Tantric spiritual and mantric practices. The Muni’s work is also part of his recent, Inner Tantric Yoga: Working with the Universal Shakti (2008). Vamadeva has spoken before the main Ramana Maharshi centers (Ramana Kendras) in India and the United States and has written for the Mountain Path, the ashram’s main publication and an important resource on the direct path of Self-Inquiry. Since 1994 Vamadeva has been in contact with the noted South Indian guru, Sivananda Murty of Andhra Pradesh (Vishakhpatnam), who is also of Ramana’s line and a great yogi as well, with connections to Trailinga Swami. He has worked with Sivananda Murty on the study of the Upanishads, Yoga, Vedanta and Vedic Astrology. Vamadeva wrote the foreword to Sadguru Sivananda Murty’s Katha Yoga, a deep yogic tudy of the Katha Upanishad. Sivananda Murty provided an introduction Vamadeva’s book Universal Hinduism. Vamadeva considers Sadguru Sivananda Murty to be one of the most important living spiritual masters in India today. 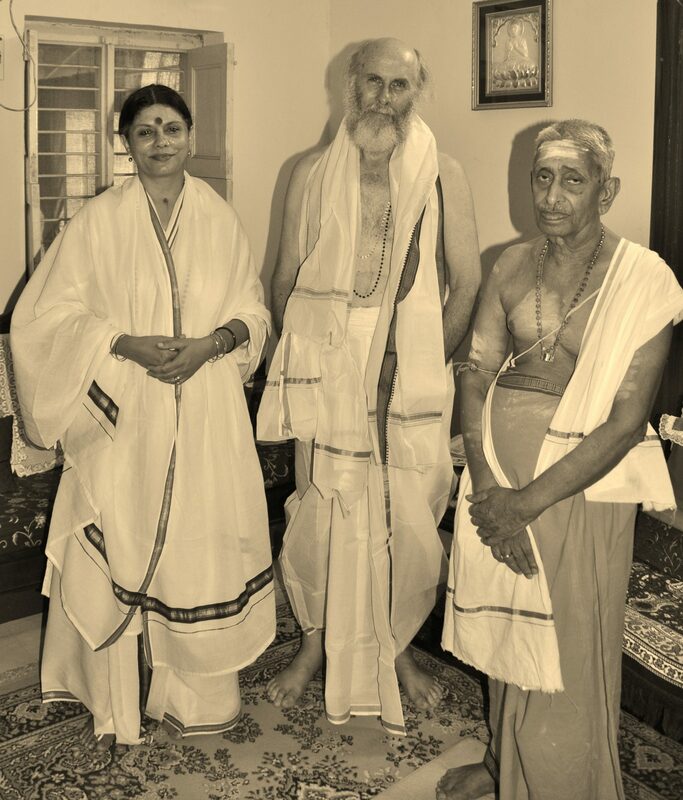 Sadguru is the head of a Sivadvaita-Shaktivasishta order and Shaiva Mahapeetham, which Vamadeva and Shambhavi have joined by direct initiation with Sivananda Murty. He wrote the introduction to Dr. Frawley’s book Shiva, the Lord of Yoga (2015). On the Vedantic side, Vamadeva has been associated with Swami Dayananda of Arsha Vidya Gurukulam and has spoken at his centers and worked with him in various conferences and programs. He considers Swamiji to be the most important teacher of Vedanta in the world today and recommends all his students to study with him. Vamadeva regards Vedanta as the mind and soul of Yoga and Ayurveda and aims at promoting Vedanta once more along with Yoga. 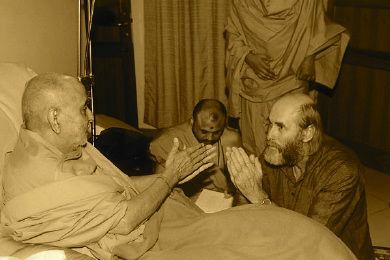 He has also done various talks with the Chinmaya Mission, particularly along with Swami Mitrananda. Vamadeva has been connected to the work of Paramahansa Yogananda the the Kriya Yoga movement, since he first took the SRF lessons in 1970, and has closely studied the teachings of Yogananda’s guru, Sri Yukteswar. SRF has published his articles and referred to his books in a number of their publications. His quote on Yogananda has recently appeared in the new edition of Autobiography of a Yogi. He also corresponded with Anandamayi Ma for several years and remains a devotee of hers as well. Acharya Frawley’s book Yoga, the Greater Tradition (2008) shows a broad view of Yoga and the need to develop its many traditional connections with all aspects of Vedic knowledge. His book on mantra, Mantra Yoga and Primal Sound (2010) has been regarded as a prime resource on mantra and meditation practice. In recent years, Vamadeva has been closely associated with the Sivananda organization. Vamadeva began studying Vedic astrology (Jyotish) as part of his Vedic research in the early seventies and brought out a course in the subject in 1985. He continues to use Vedic astrology, particularly in the context of Yoga and Ayurveda, for a deeper understanding of Vedic wisdom. Vamadeva wrote Astrology of the Seers (1990), one of the first books on Vedic astrology published in the West. This was followed by Ayurvedic Astrology (2005), which pioneers the field of ‘Ayurvedic Astrology’. In 1997, he brought out the book the Oracle of Rama (1997), an important Hindu oracle, which in 2005 has been made into a beautiful set of cards through Mandala Press. In 1992 Vamadeva helped convene the first major American Conference on Vedic Astrology, which led to the founding of the American Council of Vedic Astrology (ACVA) the following year 1993. He became the first president of the organization for ten years (1993-2003), working with Dennis Harness as the executive vice-president. He later became a board member of the American College of Vedic Astrology from 2003-2011, and after 2011, of the Council of Vedic Astrology (CVA). He was a patron/founder of the British Association of Vedic Astrology (BAVA) along with Dr. B. V. Raman. Vamadeva’s main Vedic astrology teacher was Dr. B.V. Raman (1916-1998), regarded by many as the greatest Vedic astrologer of modern India and founder of the Astrological Magazine. He has also been associated with Gayatri Vasudev, K.S. Charak, R. Santhanam, K.N. Rao and Bepin Behari. Vamadeva was one of the first Americans to receive Jyotish Kovid title from the Indian Council of Astrological Sciences (ICAS, 1993), the largest Vedic astrology association in the world, followed by the title Jyotish Vachaspati in 1996, and Jyotish Medha Prajna in 2012. He has researched medical astrology and psychology and astrology, as well as the historical origins of Vedic astrology, bringing out ancient Vedic material on the Nakshatras. In Oct. of 2010, he was one of the main guests for the World Council on Mundane Astrology convened by Sri Sadguru Sivananda Murty in Vishakhapatnam, India. After seeing how the spiritual meaning of the Vedas had been misinterpreted by modern scholars, Vamadeva could easily see how the historical side of the Vedas had similarly been distorted. This led him to a revision of ancient history. His work revising the history of ancient India has brought him into contact with major archeologists and historians. He has many published books on the Vedas and Ancient India. Note his picture with Pramukh Swami of the Swaminarayan order. His Hidden Horizons: Unearthing Ten Thousand Years of Indian Culture (2007) is a special publication of the Swaminarayan Order (BAPS). He has been associate with this organization for many years. In 2015 he gave the keynote Foundation Day Lecture for the Indian Council of Historical Sciences (ICHR) on Textual Evidence in the Vedas, under the auspices of ICHR director, Prof. YS Rao, a disciple of Sadguru Sivananda Murty. His book on ancient India, Gods, Sages and Kings (1991) was one of the first to propose a new model of history for ancient India. A shorter version of this material Myth of the Aryan Invasion has been a popular book on the subject. Along with Georg Feuerstein and Subhash Kak, he wrote In Search of the Cradle of Civilization (1995) and along with N.S. Rajaram, Vedic Aryans and the Origins of Civilization (1994). His Rig Veda and the History of India (2001) takes this work further, setting forth a reconstruction of the history of ancient India in a Vedic light. Quotes from Frawley’s books on ancient India and an interview with him were featured in Grahman Hancock’s Underworld, Flooded Kingdoms of the Ice Age book and television series. Vamadeva has written several books on contemporary issues in India, particularly the challenges to dharmic and yogic culture posed by modern civilization. He views Hinduism in the light of its origins as ‘Sanatana Dharma’, the Universal or Eternal Tradition that is relevant to all human beings. His books on Sanatana Dharma began with From the River of Heaven: Hindu and Vedic Knowledge for the Modern Age (1991). Additional titles addressing more contemporary issues include Arise Arjuna (1995), Awaken Bharata (1998), and How I Became a Hindu: My Discovery of Vedic Dharma (2000), countering common stereotypes. His book Hinduism: the Eternal Tradition (1995) has been used by ashrams and temples. His Universal Hinduism: Towards a New Vision of Sanatana Dharma (2010) shows its global relevance. 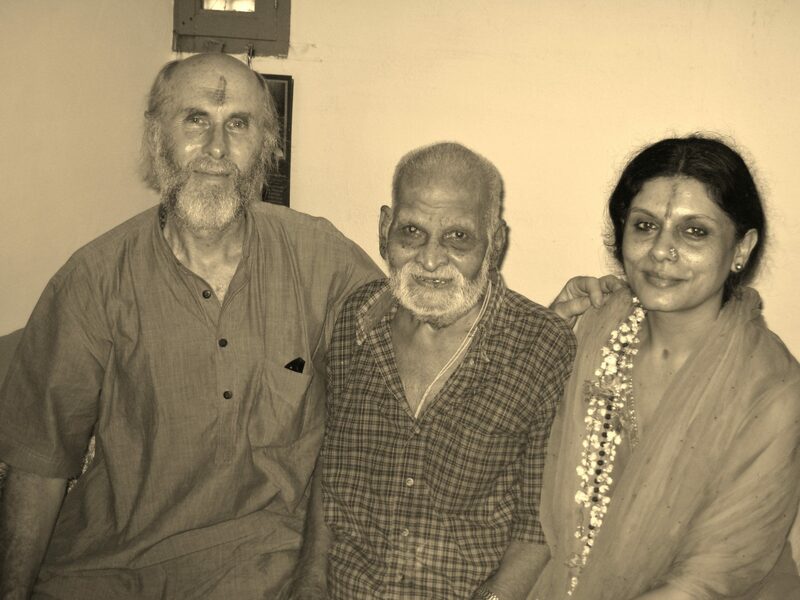 Acharya Frawley’s was closely connected to Ram Swarup of Delhi (1921-1998), photo to the upper left, whom Hinduism Today called the most important modern writer on Hinduism, with whom he was associated with from 1992. Ram Swarup wrote the foreword to Vamadeva’s Awaken Bharata. 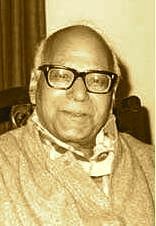 Vamadeva wrote the forewords for Ram Swarup’s collected works, including, On Hinduism; Meditations, Gods, Yogas; and the Word as Revelation: Names of Gods, and other volumes of his collected works. Vamadeva has had a close connection with such Hindu organizations including RSS (Rashtriya Swayamsevak Sangha), VHP (Vishva Hindu Parishad), HSS (Hindu Swayamsevak Sangha), HAF (the Hindu American Foundation) and various Hindu students organizations worldwide. Over the past thirty years, Vamadeva has lectured in various locations throughout India and the world. Places include Ayurvedic schools, Vedic Astrology schools, Yoga ashrams, universities, Hindu associations, Vedantic associations, and Yoga schools and related conferences. He has written many articles for various India based newspapers, magazines and journals. He has also traveled and taught in Europe, Russia, South America, and throughout North America, relative to a similar range of organizations and institutions. Besides books, he has written numerous articles for magazines, journals, newspapers and the internet in North America, Russia and Europe. Below is the full citation for Dr. Frawley’s Padma Bhushan award from the government of India for his work in the fields of Ayurveda, Yoga, Vedanta, Vedic astrology, Vedic studies, Hindu Dharma and ancient India. The recommendation for this award came to him directly from the office of the Prime Minister, Sri Narendra Modi.